McCranie's Red Flake in an Edwards Coachman. Kicking the day awake. Or L'yom in a Vauen bent bulldog with a p-lip. Or L'yom in a Scottie Rhodesian. On deck is Old Companion in a Kirsten for the ride to work. Black coffee in the side. Nice to enjoy a pipe after a hiatus, working too much. Hi fellas! Slept in, so I'm only now getting to smoke. MacBaren Three Nuns in a 2003 smooth full bend, gold banded 3 Star Ferndown Tudor Root. Btw, didn't there used to be more people listing what they smoke here? What happened to everybody? I wish they'd come back and join in. 4-Noggins Killington in a MM country gentleman cob. BRG Mixture in a three quarter bend smooth 1985 Dunhill Chestnut 5202 with a cumberland stem. Half a bowl of BRG in a 2013 slight bend grain etched briar Rekamepip Volcano with a walnut shank. That finishes this tin. Grandfather's Own in a Peterson St Pat 80s. Jim, you smoke enough for EVERYONE ! Since 12:38 am this morning you've already had 6 bowls I'm just on my 3rd bowl since 5 am today. It's some Presbyterian in a #39 S&R #39 bent bulldog. Question for ya: Did you chain smoke cigarettes like you do pipes ? Inaugural smoke in my GLP Cumberland in my Foundation (Musico) bent tomato! Btw, didn't there used to be more people listing what they smoke here? I am away from keyboard a lot while I am out working. I smoked four more bowls of Old Companion in the Kristen while driving between various things today. I got home and just finished a bowl of Skandinavik Full Aroma Cavendish in a MM 5th Ave Diplomat with a forever stem. Next is Haddo's Delight in a Peterson Shannon 999. I was never a cigarette smoker. In my life, I doubt I've smoked more a pack's worth of cigs. When I started smoking at age 13, I started with a pipe. Btw, I slept between 6 and 11 am., so I consider my smoke day to start when I wake up. 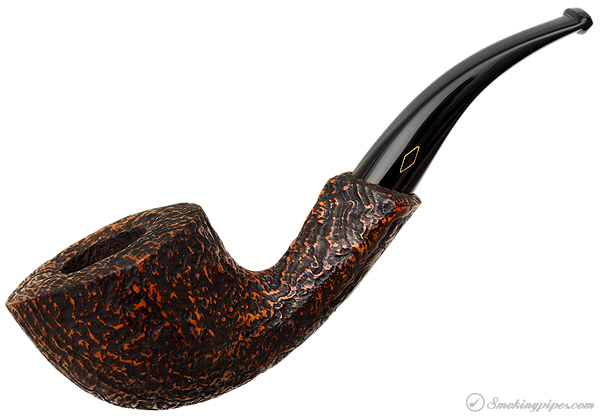 Right now, I'm half done with this bowl of Edward G. Robinson's Pipe Blend in a 1982 black sandblasted paneled slight bend Savinelli flat bottom sitter.